Our expectations about our health and our performance in every area-of-life greatly determine our reality. Negative beliefs and expectations often result in negative experiences in our lives, where as positive beliefs and expectations result in positive experiences. The placebo and nocebo effects, as well as the pygmalion and golem effects, show the power of expectations. Within the fields of psychology and spirituality it is widely assumed that our expectations, about the future, typically manifest into reality. The Buddha was perhaps the first spiritual, or psychological, leader to recognize this truth and is quoted as saying, “What you think, you become.” By analyzing scientific data, it is clear to see how our expectations about future events greatly play a role in shaping our life experiences. There are a number of ways that this truth can be brought to life, and the widely recognized placebo effect is one such way. We can also look at the opposite of the placebo effect, which is called the nocebo effect. Both of these theories show how there is a direct correlation between the beliefs, or expectations, in our mind and the physical reactions of the body. Today, it is widely accepted that our beliefs affect our physical bodies and our physical bodies affect our beliefs. The placebo and nocebo effects help to show how our beliefs directly shape our reality, but there are other key theories that also show how our expectations, about future events, greatly shape our performance in these events. The pygmalion effect and the golem effect, which are both centered around self-fulfilling prophecies like the placebo and nocebo effects, point to the direct correlation between performance expectations and performance levels. The pygmalion effect shows how positive expectations about future events typically results in higher levels of performance, where as the golem effect shows how negative expectations typically results in less than stellar performance. Because both the pygmalion and golem effect come under scrutiny for not being verifiably measurable, it is best to analyze the mind-body connection, or the connection between our expectations/beliefs and behaviors/outcomes, by looking at the placebo and nocebo effects. After we examine how the placebo and nocebo effects show how our beliefs alter our physical wellbeing, we will then explore how each of us has the ability to shape our expectations in ways that produce life-affirming results in our future. The placebo effect, which I am sure you are familiar with, is regularly verified as a legitimate theory through the collection of data in medical treatment studies. In these studies, participants, who all have the same medical issue, will be divided into a number of different treatment groups. At least one of these groups will receive a medication that is regularly used to treat their particular disorder, and another group will receive a placebo medication, which they often believe to be the actual medicine. In reality, however, the placebo medication doesn’t contain the ingredients used to treat the disorder, and is typically something as simple as a sugar tablet. After a predetermined length, the symptoms of participants are analyzed to determine if the placebo, or sugar tablet, produced positive health outcomes. It is estimated that placebo treatments generally work between 20-80% of the time and have been used to treat a wide variety of medical problems. Let’s look at an example of a recent study that took place at one of the top medical universities in the United States. In 2014, at The University of California Los Angeles (UCLA), a study was conducted by a team of university psychiatrists who wanted to determine if depression could be treated with fake medication, a placebo, and the results of this study help show how our beliefs/expectations, or in this case the mind-body connection, alter our future reality. The study had 88 patients, who were aged 18 to 65 with symptoms of depression, and consisted of three control groups: 1.) The patients only received supportive care [20 patients], 2.) The patients received actual medication and supportive care [39 patients], 3.) The patients received a placebo and supportive care [29 patients]. The results, like many past tests have shown, prove the truth about the placebo effect. 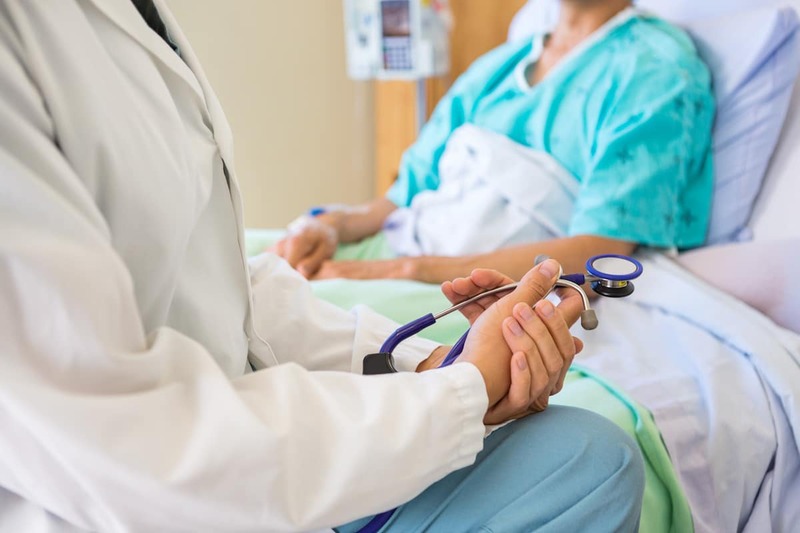 Of the patients receiving only supportive care, the average improvement was 5%, those patients receiving the actual medication and supportive care improved 46%, and those receiving the placebo and supportive care improved 36%. While the placebo patients did not see the same level of improvement as the patients receiving actual medication, they did have a 30% improvement in comparison to the group receiving only supportive care, which in reality was the only treatment they were receiving. This is just one simple example that shows how our expectations and beliefs can positively shape our future reality. It is clear to see that the 36% of patients, who saw reduced depression symptoms, firmly believed that the placebo medication would improve their symptoms. Time and time again, studies like these have shown how our minds can greatly influence our bodies, and many holistic healers will go as far to say that when our beliefs and expectations are aligned properly, our bodies have the ability to create any medication that we may need. Let’s now look at how negative expectations often negatively affect our health. If the placebo effect shows how positive expectations results in positive health outcomes, the nocebo effect shows the opposite. In nocebo studies, individuals are told that a particular medication often causes negative side effects, and the patients in the studies regularly exhibit these symptoms. The same sugar pill that reduced negative symptoms in placebo studies can be used to show how our negative expectations and beliefs cause negative outcomes in our lives. For example, if a doctor reiterates to a patient that they may become nauseated or have persistent headaches from taking a particular medication, the patient oftentimes creates these expectations and suffer from these symptoms, even though they are only receiving a sugar tablet. And while the results of simple studies such as these produce negative symptoms in patients, the severity of the nocebo effect has to be believed to negatively contribute to much more serious health statistics. In the United States, statistics are kept on practically every type of medical condition and ailment. When extremely bleak statistics are present to patients, who have a serious health ailment or disease, it is presumed that their conditions will deteriorate because the statistical evidence points to this presumed reality. If an individual is shown statistics that predict their death in a short timeframe, the beliefs that are created from this information can very well cause a premature death. This phenomenon is often referred to as voodoo death, and is regularly believed to cause ‘terminally ill’ patients to die before their bodies would indicate they should. To exemplify the significance of the nocebo effect, we can look at pancreatic cancer statistics within the United States. If an individual, who was just diagnosed with one of the deadliest forms of cancer, was told by their doctors that the 1-year mortality rate for pancreatic cancer patients in 75% and the 5-year mortality rate was 94%, the expectations of diagnosed individuals would contribute to the reverification of these exact statistics. While we don’t need to undermine the severity of the disease, the contribution of patient expectations shouldn’t be taken lightly when analyzing these statistics. The reality of the nocebo effect shows why it is so important to shape our expectations in positive ways, and not just in regards to our health, but in every area of our life. The placebo and nocebo effect show how our beliefs about our health often manifest in our reality. Similarly, the pygmalion and golem effects show how our outcome expectations generally predict our performance across each and every area-of-life. For this reason, it is vitally important to mold our expectations, and cultivate unwavering positive beliefs, that are inline with our desired outcomes. There are a number of important steps that we can take to change our future expectations and cultivate life-affirming beliefs, however, there is one step that must be taken before we make changes to our mental patterns: We must become overtly aware of our current expectations and beliefs. For the majority of us, many of the internal dialogue patterns, that show our expectations, remain unconscious to us. Knowing how our expectations, and beliefs, alter our future reality will help us bring awareness to our internal thoughts, but in order to truly uncover our deepest expectations, we need to improve our awareness on a continual basis. By forming a regular meditation practice, we can gain greater and greater access to our internal dialogue patterns and outcome expectations. When we practice mindfulness, we have the ability to objectively watch how our beliefs, thoughts, and expectations shape our reality. Once we are aware of our negative expectations and beliefs, we can then take steps to positively alter them, which will positively alter our life outcomes. There are a number of ways that we can change deeply rooted, and negative, expectation patterns and beliefs. After becoming aware of them, we can first question their validity by asking ourselves questions, and then overcome them by finding examples that go against this presumed truth. Another important step for this individual would be to recall instances when he or she overcame negative expectations and beliefs and produced their desired outcomes. He or she would also want to take definitive action, in the present moment, that go against these faulty expectations and beliefs. When we have references that go against a problematic belief or expectation, the validity of these troublesome ideas lose their strength. One thing that is important to remember is that our expectations have to be realistically in-line with our current situation and circumstances. An individual who just graduated with a bachelors degree isn’t likely to become a fortune 500 CEO within 1 year, and while this could be a life-affirming long-term goal, it isn’t realistic to think it is possible to accomplish this in such a short timespan. It should now be quite clear that our beliefs and expectations, not only about our health, but about our performance across every life area typically manifest into our reality. So, if you want to create a more fulfilling life, one of the first things you need to do is to overcome your negative internal expectations which prohibit you from the success and happiness you desire and deserve. Let’s hear from you guys. What do you think about the power of expectations? What are some other ways that we can alter our expectations to produce the results we desire?